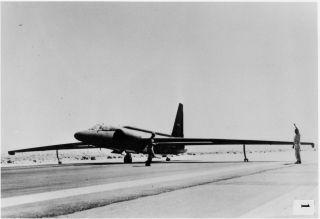 High-flying spy planes such as the U-2, seen here, likely spurred many reported UFO sightings over the years, CIA officials have said. In 1947, New Mexico police officer Lonnie Zamora was chasing a speeding car when he heard a loud noise. He saw a flame shoot up in a nearby patch of desert and went over to investigate, thinking a dynamite shack in the area might have exploded. What Zamora reported is still under intense dispute decades later. He says he saw a sedan-size, shiny object on a hilltop. Once he got closer on foot, the object began making loud noises. Zamora backed away but saw the UFO rise into the sky and speed away until it disappeared. Below are the tips that the CIA learned from "flying saucer intelligence," as the agency highlighted in a recent blog post. Helpfully, the CIA also published a list of UFO cases that Fox Mulder and Dana Scully — the heroes of the recently revived "X-Files" TV series — would enjoy. Create a group to find and evaluate the sightings. After the 1947 incident, Project SAUCER was established to obtain all possible information about these sightings. (The premise was that the sightings were not necessarily UFOs, but could be foreign craft.) The group was renamed Project SIGN and then Project BLUE BOOK. Figure out your investigation's goals. Project BLUE BOOK aimed to find out if UFOs were a threat to U.S. security, determine if UFOs have technology that could be used by the U.S., and explain which stimuli cause a person to report a UFO. Consult with experts. Project BLUE BOOK's outside experts included astrophysicists, federal aviation officials, pilots, academics, and people at the U.S. Weather Bureau, local weather stations, the National Center for Atmospheric Research and NASA, among other organizations. Organize cases in a reporting system. BLUE BOOK's categories included astronomical, aircraft, balloons, satellites, other (such as reflections or mirages), insufficient data and unidentified. Eliminate false positives. Examples included misidentified aircraft (particularly the U-2, A-12 and SR-71 spy planes), hoaxes and mass hysteria. Develop methodology to identify common aircraft (or other phenomena) the public mistook as UFOs. Conduct controlled experiments, such as photographing certain types of balloons from different distances under similar weather conditions. Gather and test physical and forensic evidence. The Zamora investigation included using Geiger counters to look for radiation, and sending soil samples off for expert analysis. Discourage false reporting. In the 1950s, during the Cold War, there were concerns the Soviet Union could deploy fake "UFOs" to incite panic in the U.S. So officials countered that by teaching the public how to look for similar phenomena, such as astronomical objects (meteors) or illuminated objects (balloons).